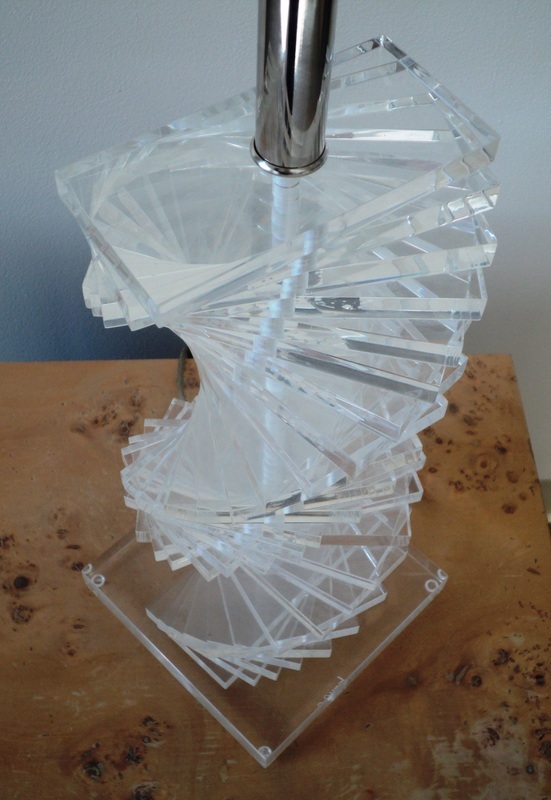 Karl Springer Style Spiral Lucite Table Lamp. 1970s/Italy-Signed Primo. 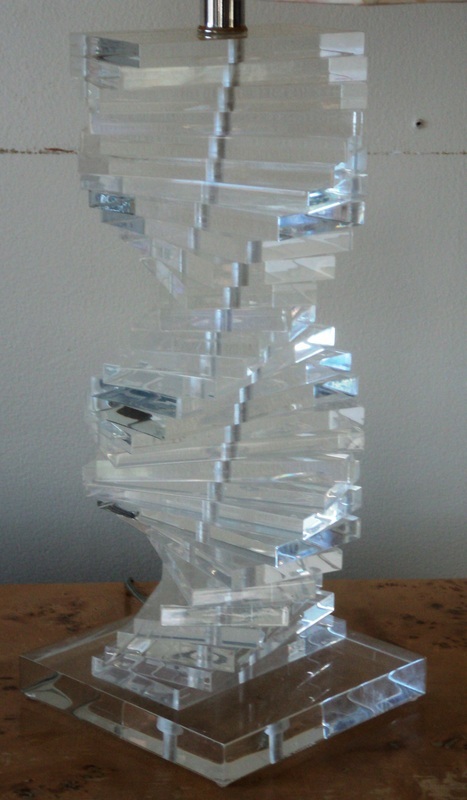 Dimensions: 30 1/2" to top of harp. 21 1/2" to top of socket. 7" wide. 7" deep. 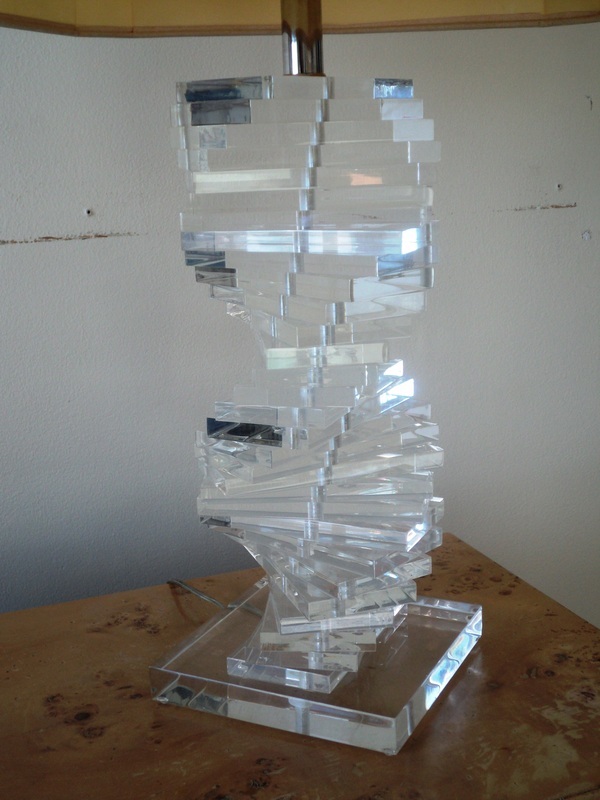 Sculptural Stacked Lucite Structure. Steeled Chrome Stem & Harp (no finial). 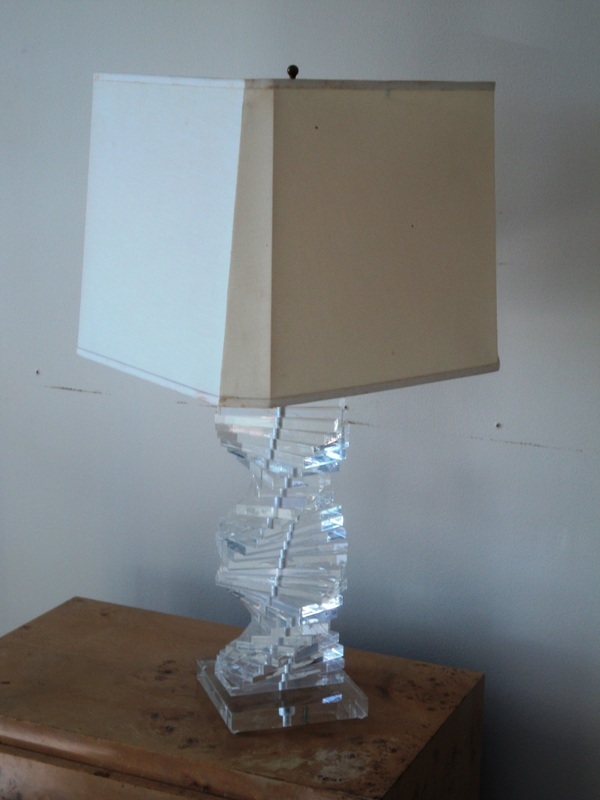 Original Lampshade. Excellent Vintage Condition. (Original Lampshade-as found condition). $575.